Under the surface things are different. 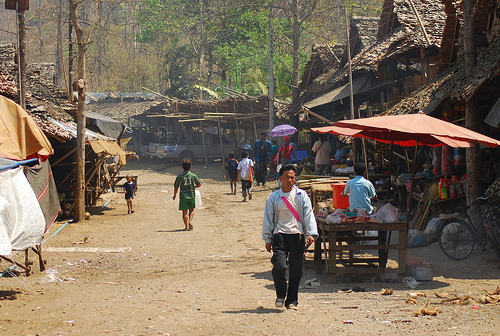 On the surface: Thai military check points, barbed wire fences, thousands of people who are not permitted to earn money and houses made of temporary materials; under the surface: a thriving market, a cell phone tower (that the company put up to meet growing demand), and a town with schools, churches, mosque and temples. People too. 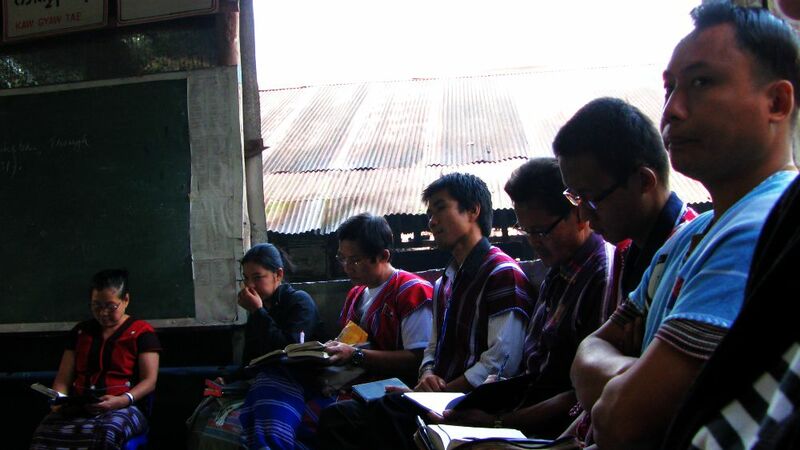 A teacher, invites us round to his house after the staff meeting. He delights in in an unlikely name drawn straight from British tales of medieval dareing do, is tall and fragile looking with big soft eyes and a gentle smile. 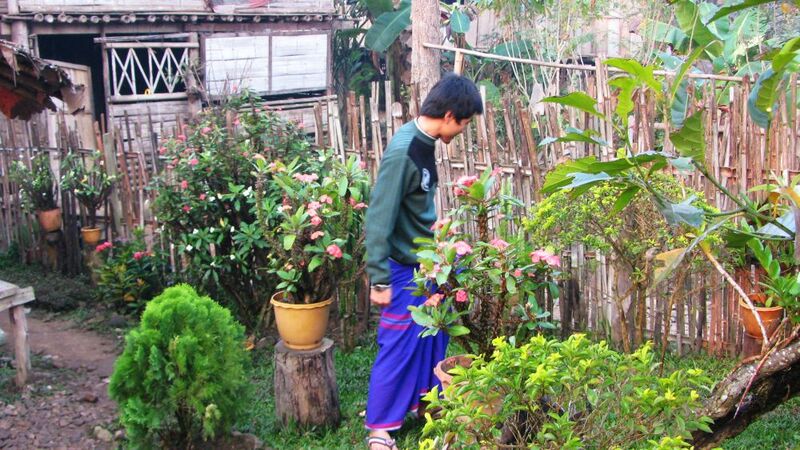 Back in Rangoon he was arrested as a “terrorist” suspect and tortured for information about the KNU. The experience was so bad that, when he was free again, this gentle man decided to kill his three torturers. He calculated that he would be sentenced to three years each in jail, and that nine years of his life was a good trade. God intervened, in a night of prayer he realised that if he killed the colonel and his assistants he would “send them straight to hell”. Instead he became an evangelist. 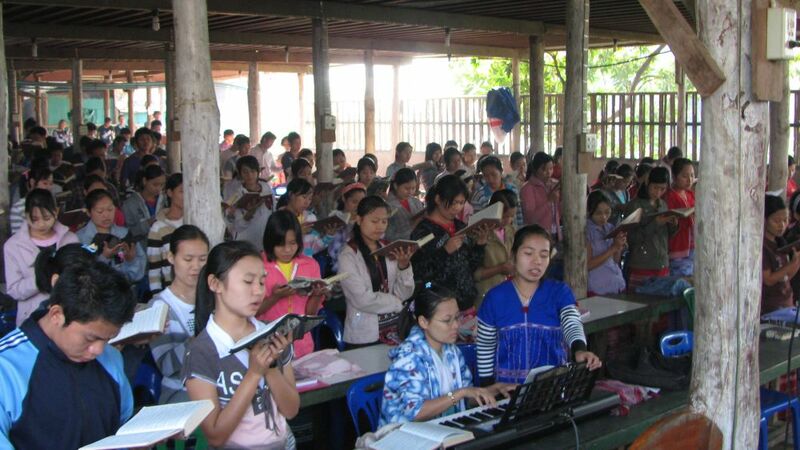 He tells with admiration the tale of the first Karen Christian, Ko Tha Phu, he had just five sermons but with them he converted so many Karen. He was arrested again, tortured again, jailed in a small cell with five Communists. He converts his cell-mates, and turns them into a prayer group. Their praise and worship sessions last longer than the Buddhist chants from the monks in other cells, though his new flock balk at 24 hour prayer and settle for just three sessions per day, like the Muslims. The sweet smiling children too often hide horrific stories. Or have seen things no one should see. This long-running war has produced its share of sadists and atrocities. But mainly on one side. Last time we were here we visited Dr Cynthia’s Clinic in Mae Sot and were told how some Burmese soldiers brought in three comrades who had been injured by mines. The father of an orderly who was in the room was pastor of a village these same soldiers had recently burned. They were not turned away, but received first aid, and passed on (with a sigh of relief?) to the Thai hospital which could treat them better. 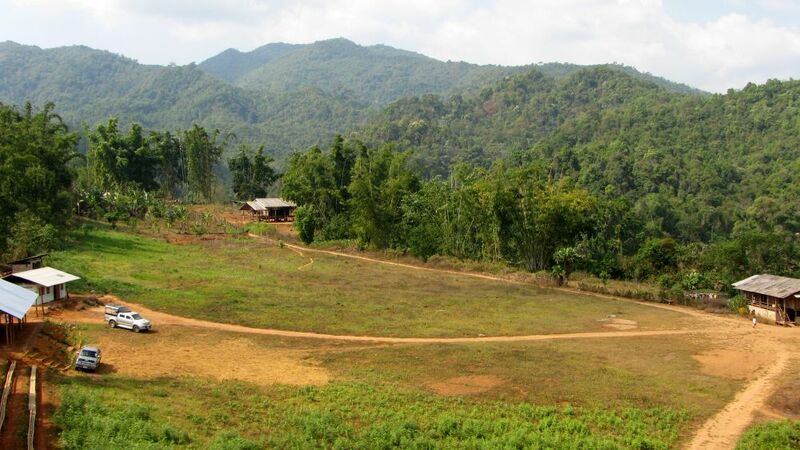 One thing is the same on and under the surface, the hope that one day Kawthoolei the “land without evil” as the Karen homeland is called will not merely be a place of farms and misty hills, but again in truth a land without evil, and a home. Since her birthday comes in the NZ holiday season Barbara is used to having somewhat muted celebrations on the day, and then an “official birthday” with family and presents sometime later when we are all home again. That was the pattern we expected this year, just the two of us in a refugee camp did not seem the setting for a conventional Kiwi Birthday celebration. The first surprise was during college chapel, when Dr Simon announced her birthday and the whole company, 250 students plus staff sang “Happy Birthday” including a verse about “long life to you”, then the treat, lollies were distributed to all attenders! 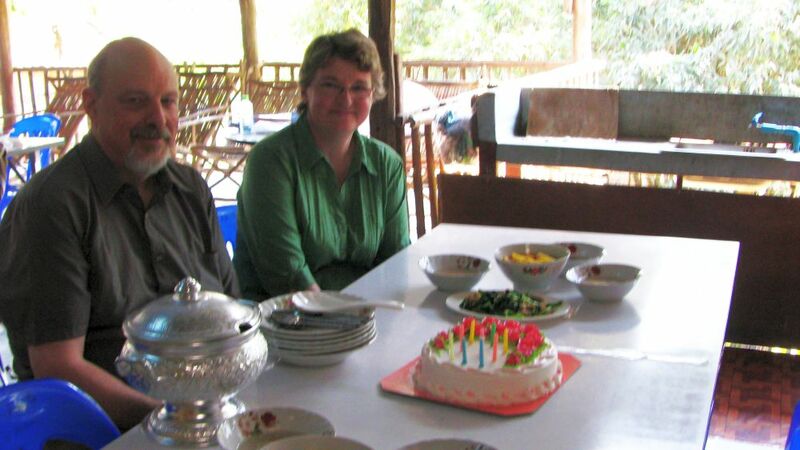 At lunch another surprise our Danish colleagues had slipped away, and into Mae Sot, and bought a really flash birthday cake complete with impressive icing sugar roses. 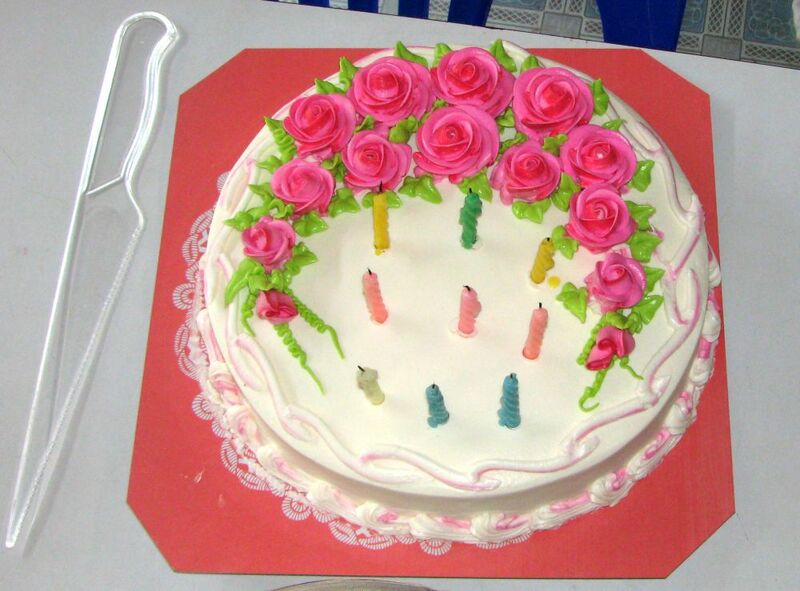 The Cake: Just look at those roses! She was also so moved by the gift of a beautiful pashmina from one of the teachers. 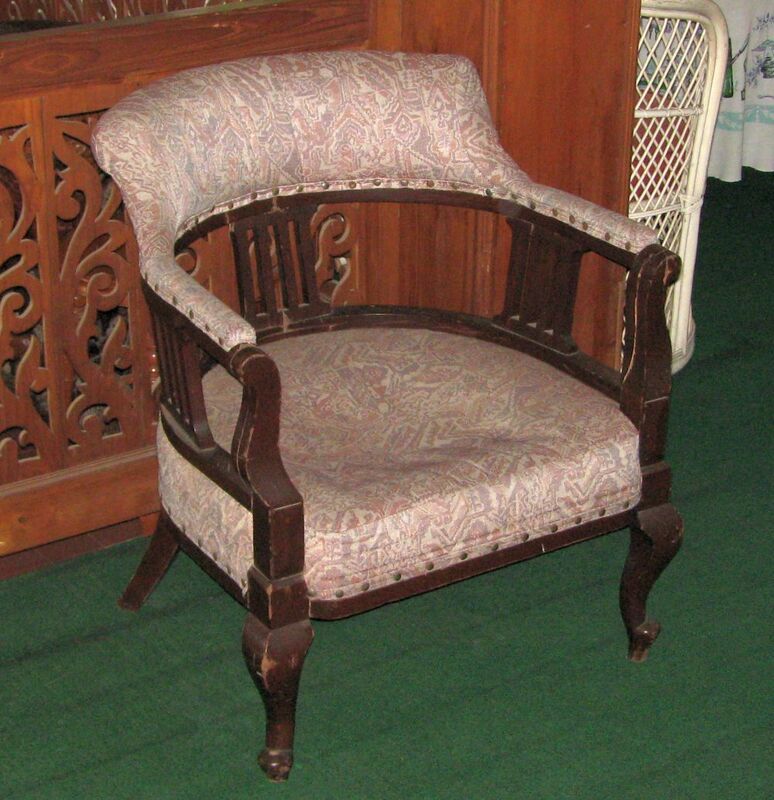 That someone who has so little, living in rooms in friends’ houses and moving as their family needs require, should want to give such a lovely present, is very humbling. Today Dr Simon took us some 80Kms in a northerly direction from the camp. 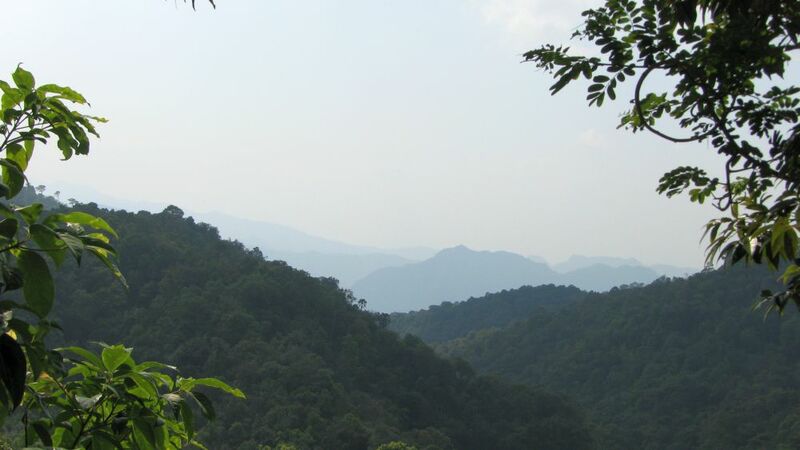 We passed through a land of beautiful limestone crags, steep hills and rich valley farms. 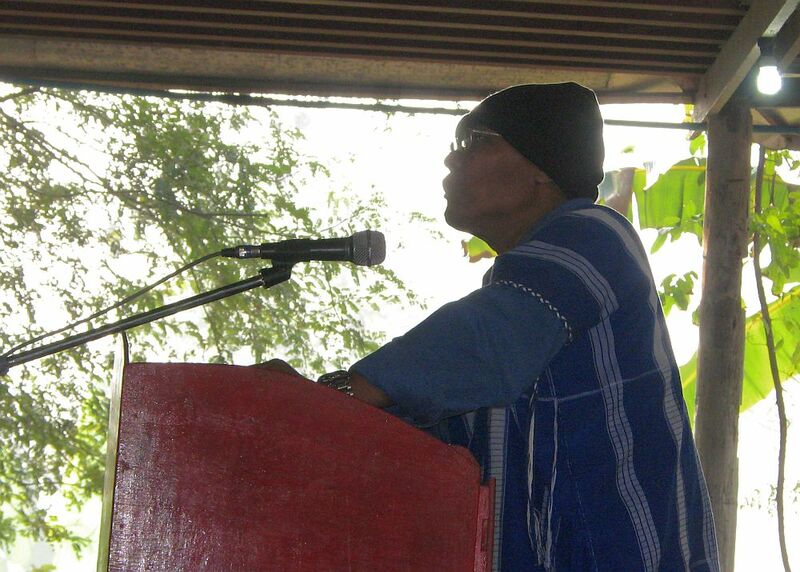 From time to time he said: “We are planting a church here.” or “We planted that church, a graduate of KKBBSC is the pastor.” This litany continued all the way. 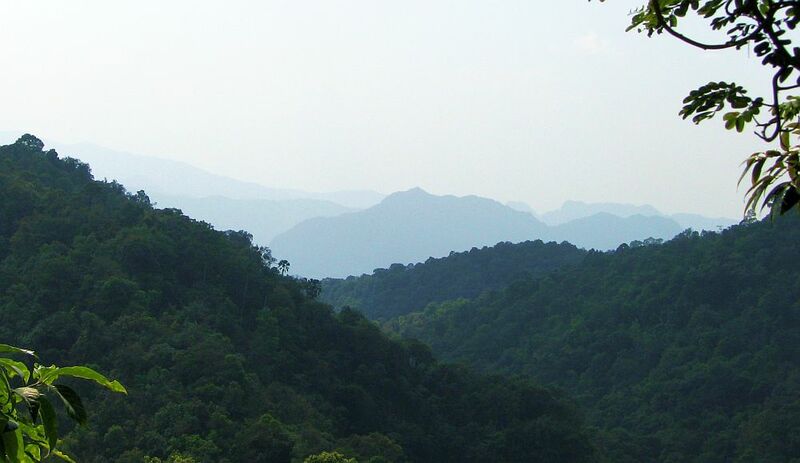 Finally we arrived at a glorious valley deep amid the steepest and highest hills. There at the end of the valley, beyond the village and farms, stood a brand new, unused church. Three stories above it towers a huge white cross. It was the dream of Dr Simon’s wife, and he drew the plans. 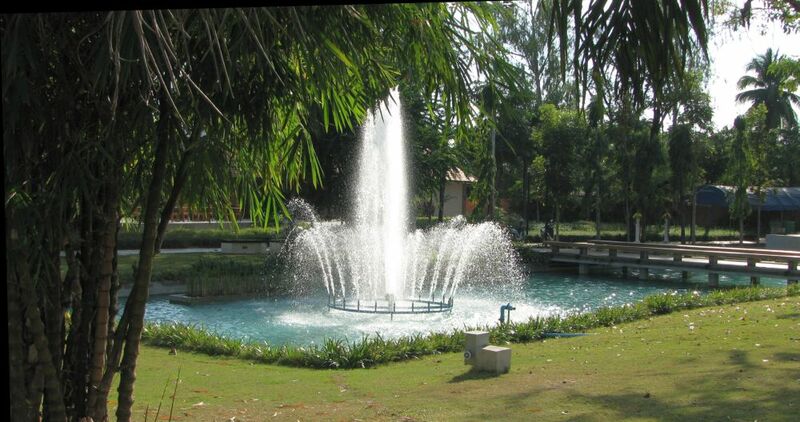 It is constructed of metal piping and clad in white painted sheet metal. There are rooms with magnificent views in each arm of the cross. The new church and its cross will be dedicated on Feb 14th. 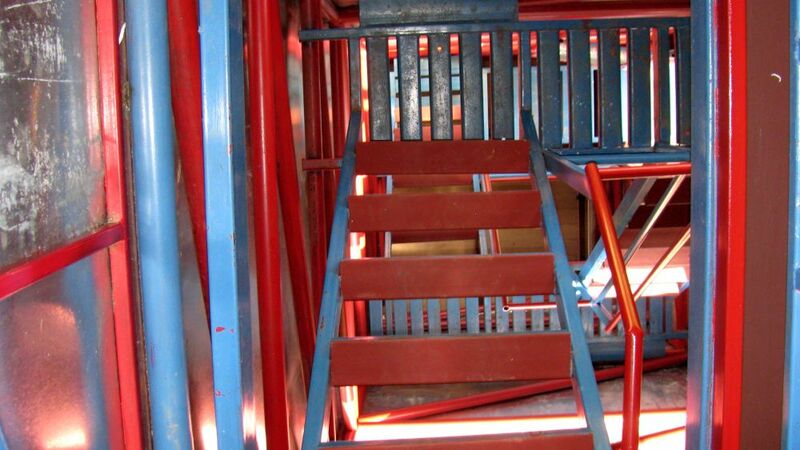 But already there are dormitories for children of neighbouring villages, allowing them to attend the school. The elder was an Animist until his recent conversion, now he seeks to convert all the valley. 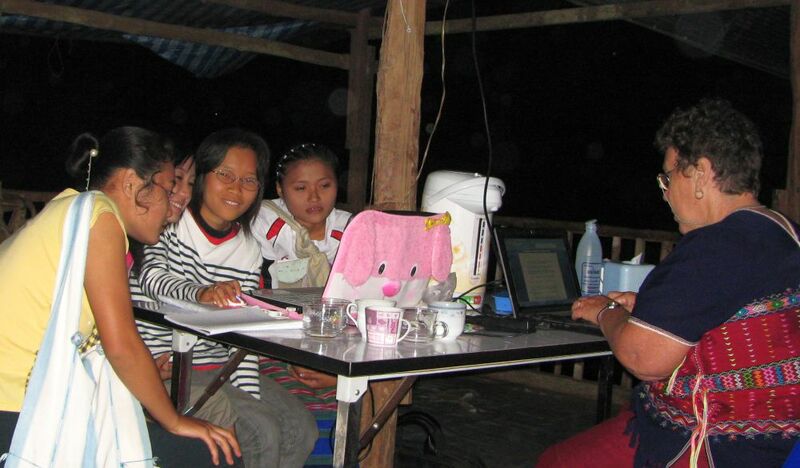 Villagers in such a remote rural area have even less access to resources and education than some refugees, who may have relatives in good jobs in Thailand, Burma or Third Countries. 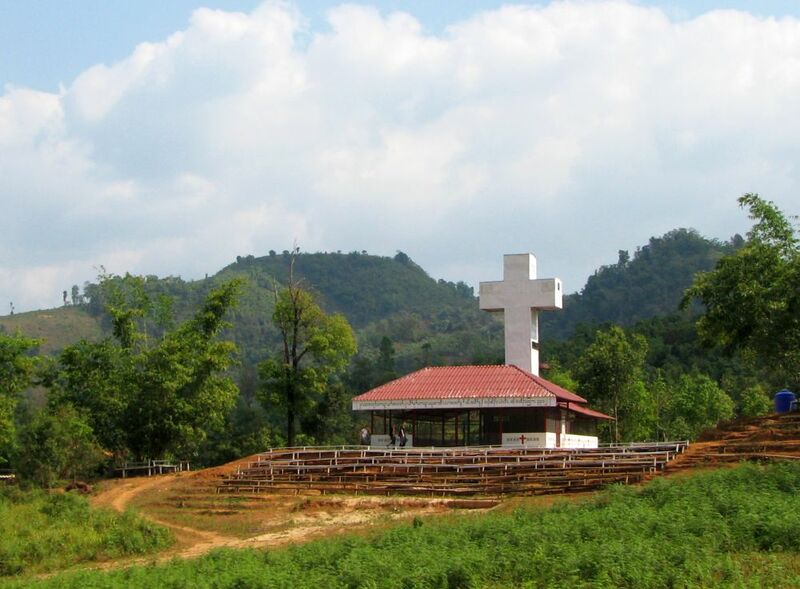 So, access to education, like the cross, is a symbol that the good news of Christ has come to this remote valley. 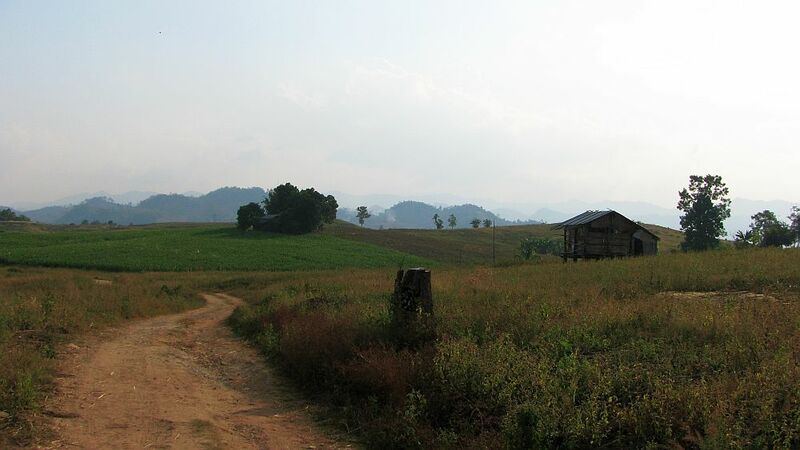 Many such rural development and evangelistic efforts here, result from local initiatives, sometimes attracting outside support, rather than foreign “mission”. Senior General Than Shwe and his clique seem determined to eradicate Karen nationalism, they may even desire genocide (think of their response to Cyclone Nargis, which affected mainly areas of the country where Karen comprise most of the population), they perhaps also hope to remove Christianity from Burma. The Burmese Generals might perhaps eradicate Karen nationalism, though there is small sign of this yet. They will surely fail at genocide, as other evil men have failed before them. But they have already succeeded in planting vibrant evangelistic Christian churches all along this borderland. Gen 50:20 (the motto displayed at the jubilee in 2008) springs to mind. 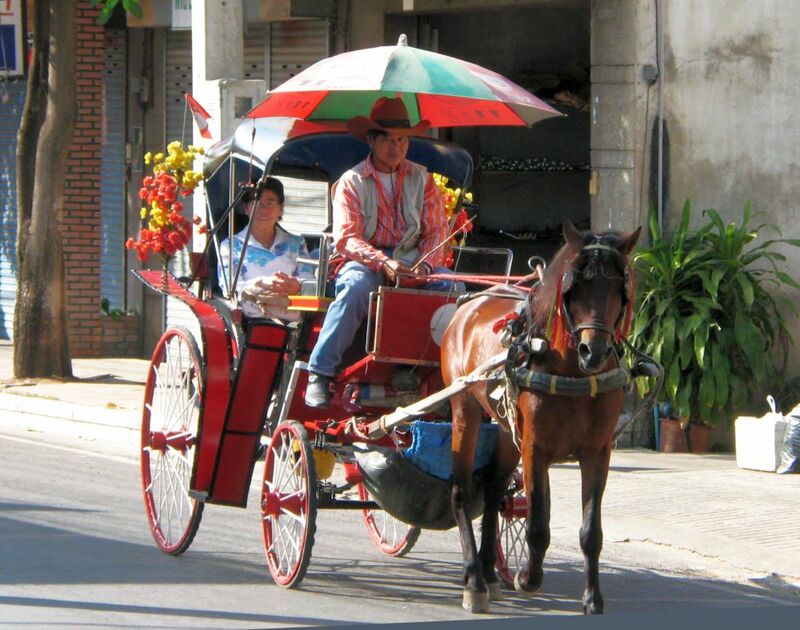 Old Lampang is full of beautiful brightly decorated "horse carts"
Lampang is renowned in Thailand as the last city to use horse-drawn carriages for public transport. These are mainly used by tourists, and in the week after New Year (a major holiday opportunity for Thais (as for New Zealanders, and for the same reason, public holidays to boost your entitlement) these were mainly Thais. 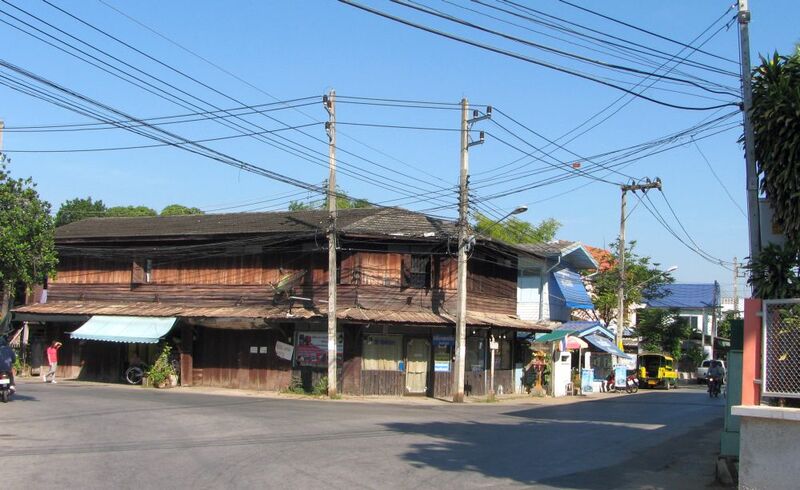 The architecture shows influences from Europe and Burma as well as Thai and Lanna (ancient kingdom in Northern Thailand) styles, as the city was a centre for Teak as well as other commercial interests in the 19th Century and was much earlier a major city in the Lanna kingdom. 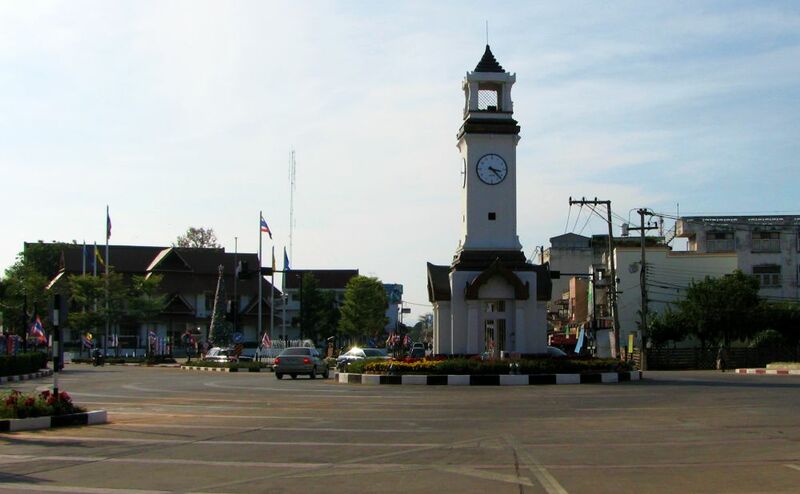 As well as attractive houses and shops in narrower roads all around the city centre, there are pleasant wide modern streets and a fine clock tower plaza, with a typically Thai little public park with plenty of green and a fine fountain. 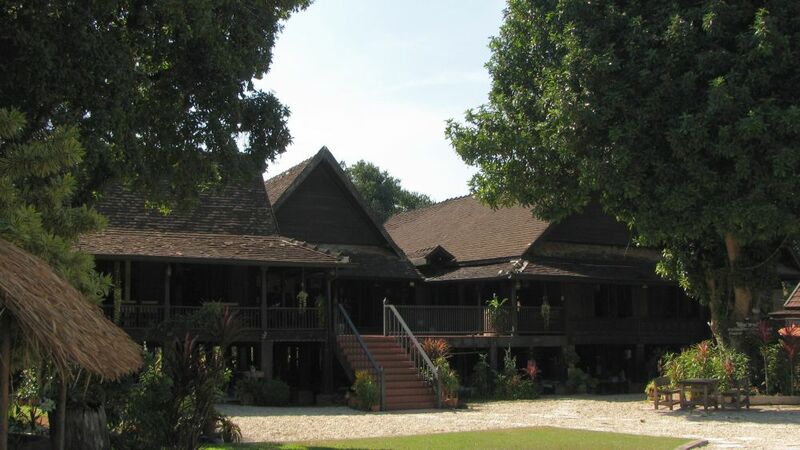 The Pin Hotel is comfortable and extremely spacious with a good breakfast buffet. With a huge bed with a soft mattress, and a bath with hot water we luxuriated. (A particular treat after the 2nd class stopping bus from Chiang Rai to Lampang.) We ate at several tasty Thai and Chinese (this is still Northern Thailand) places including a brilliant and cheap place on the corner down from the hotel. The rooms are spacious, rather than huge; airy rather than closed, and enjoy a beautiful interplay of wood and light. The weekend “walking market” on the street with the guesthouses, between the Pin and the river was great fun, and even better than the one in Chiang Rai, with just as few foreigners. 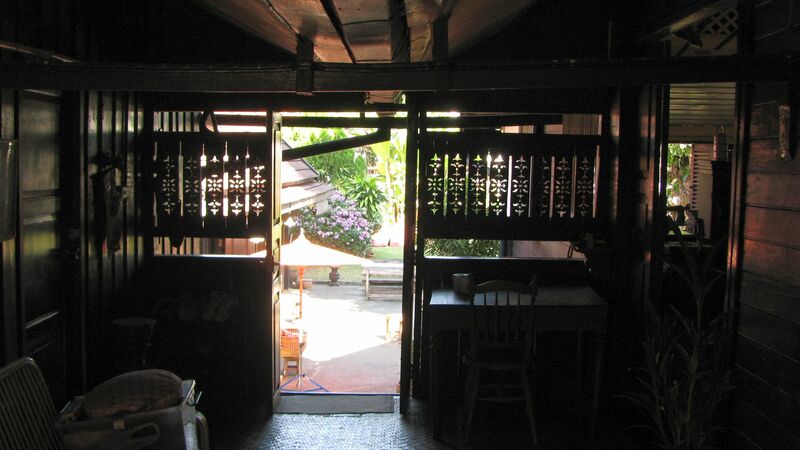 Apart from wandering and eating our main sightseeing was a walk through pleasant side streets to the Baan Sao Nak a 19th Century aristocratic teak house built in Lanna style, airy and cool with tall trees and beautiful furniture this house was a delight. 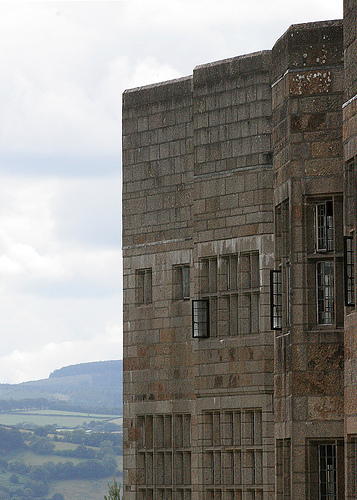 It has to join Castle Drogo in Devon (an Edwardian modern medieval castle 🙂 as one of the few ‘big houses’ that I would dearly love to live in! We keep chalking up new experiences, not living in a refugee camp, we did that in 2008, even being a refugee we have tried (1991 for a day or two), but still there are new things to try which add new shades to life’s rich tapestry. 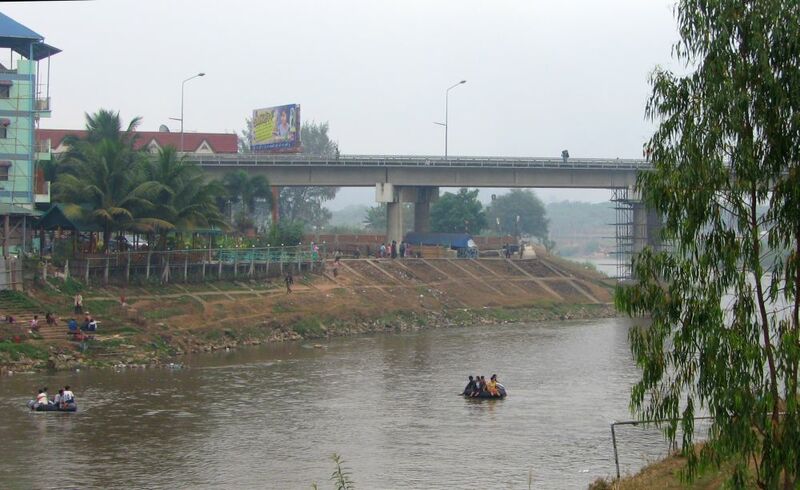 The Friendship Bridge, Mae Sot, with others crossing the border on rubber rings. 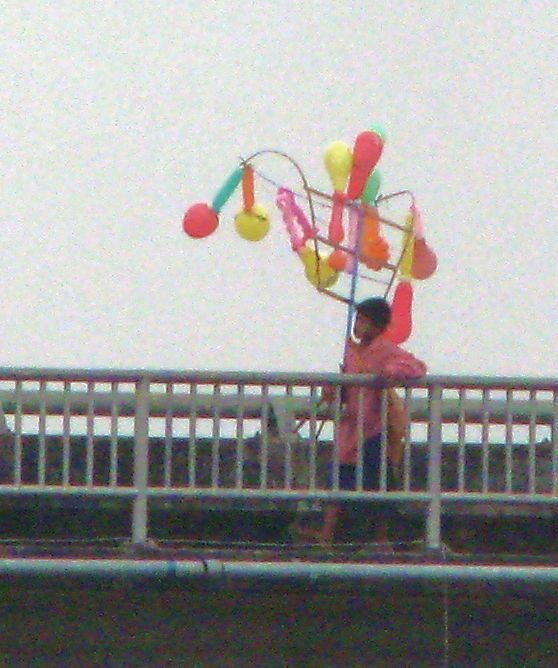 The person crossing the bridge in the photo above shows the lighter side of life, he was a baloon seller! Sometimes, as for our informant, it goes wrong and the ferryman steals the load, and the potential overstayer cannot complain as then they would be revealed as intending illegal immigrants.